It is next to impossible to list all of the items we have that would fall under Misc. 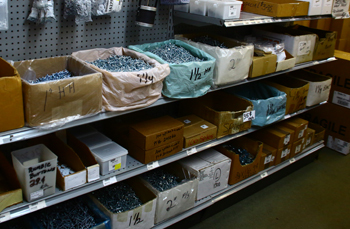 Hardware supplies but we have listed a few. Molding, Trim, Mini Gutters, Gutters, Carpet Bars, Door Jams, Screens and screen material, mini blinds, Screws, nails, Fastners, bits, etc.